In celebration of my ? ?33rd wedding anniversary ? ?here is a Friday freebie for all of you teaching math in Spanish or wanting to send home Spanish homework! This is a 26-page unit that has essential math vocabulary to build a foundation of math understanding. 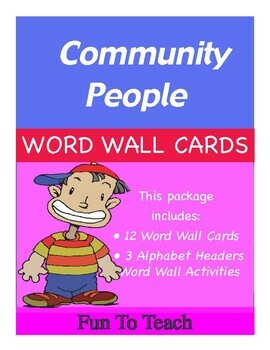 You can use it whole class, with second language learners or struggling math students. The 15 carefully selected math vocabulary words integrate kid-friendly definitions with rich information about the concept. Words included are: poligono, figuras congruentes, simetria, ordenacion, diametro, lineas paralelas, lineas perpendiculares, area, angulos, cilindros, perimetro, rombo, cubo, esfera y cono. 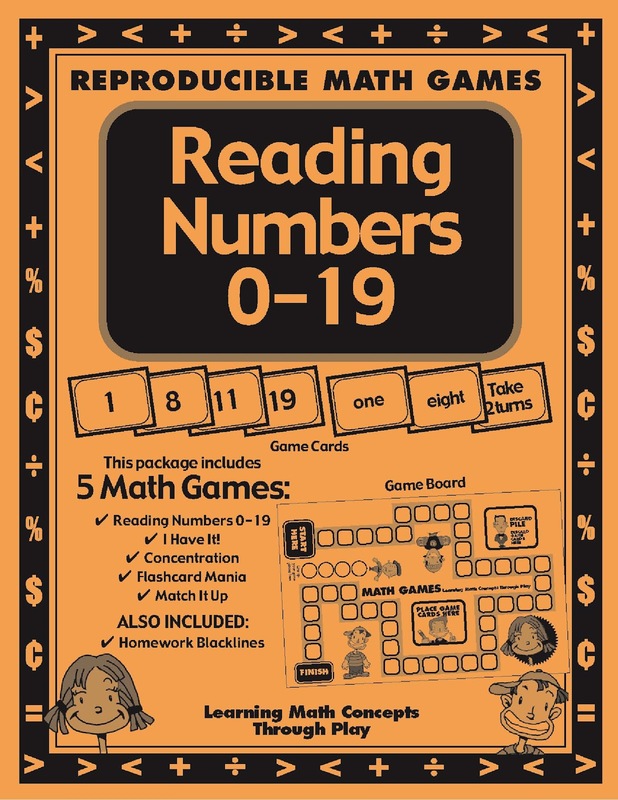 This Math Game packet includes black line masters to reproduce and use as games and activities. 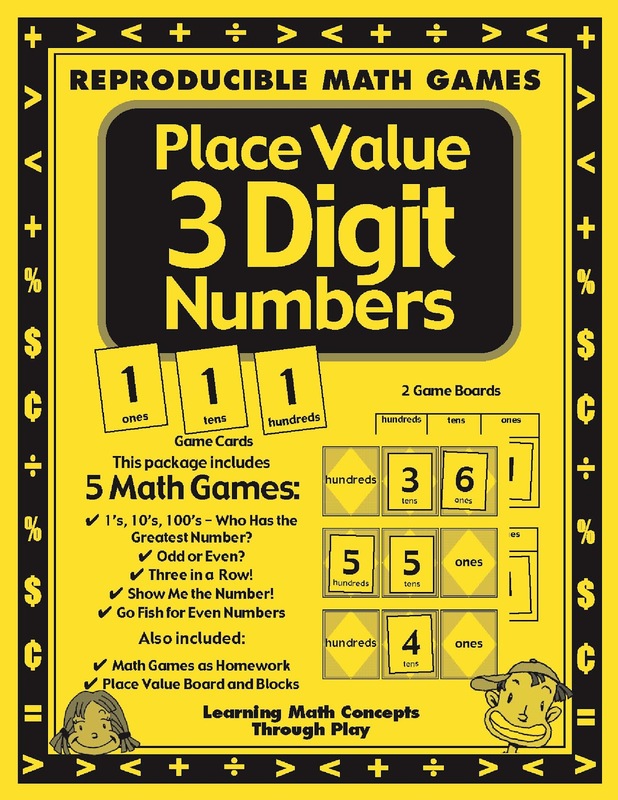 ?Place Value - necessary skills checklist ? If students don?t have these skills, STOP and teach these essential building blocks to understanding place value or your students will struggle with this cornerstone of mathematics throughout the year. Click here to see the Fun to Teach products.We have a variety of games and activities to help build these essential math skills in young mathematicians. Here is a great math freebie just for you! Check out this 26-page package freebie that focuses on multiplying by 8. Teaching elementary students to multiply is quick and effective when students practice their multiplication facts with these fun and engaging reproducible multiplication games, lesson plans and activities. Each multiplication game includes game boards, cards, practice sheets, a 5 minute-timed test and graph for efficient assessment. Also included are 5 black lines, which can be used to differentiate your instruction, as seat work or sent home as homework. Flash cards also come in this packet. These games are effective ways to reach and teach your English language learners and at risk students. Differentiate your elementary instruction with this great 26-page multiplication game and activities. Please follow me and don't forget to rate this product! Click here to download this freebie! Subject and Predicate...who can explain it better than Schoolhouse Rocks? Mr Morton is who, he is the subject of our tale and the predicate tells what Mr Morton must do! Share this with your students and enjoy! Here is this weeks freebie! This fun and effective freebie grammar game, The 3 sounds of "ed" Past Tense Verbs games and grammar activities are engaging and enjoyable ways for children to practice using The 3 Sounds of "ed" Past Tense Verbs. Click here to get your freebie! Please follow us and rate this product! ?FREEBIE Formative Assessment Graphic Organizer for Reading? Hello everyone! Here is a great freebie to add precision to your instruction! Enjoy! Formative assessments are used during instruction to support the learning process. This student feedback helps us adjust and differentiate ongoing instruction to improve student achievement. Most formative assessments are quick and easy and do not take an excessive amount of time. They are easy to use on a daily basis. Click here for this great freebie! ?What did we do in class? ?Why did we do it? ?What did I learn today? ?How can I apply it? ?What questions do I have about it? Adjust and differentiate ongoing instruction and improve student achievement with this easy to use graphic organizer.
? Passive Voice versus Active Voice ? I was doing a bit of investigating the other day into the differences between the active and passive voice. In a nutshell this is what I found! I would love to know some of your favorite ways to teach active and passive voice! ? ? ESL/ELD K-5 Curriculum Map a year long pacing guide! a year long pacing guide! Planning for the year can be overwhelming. Many of you have been asking me for my ESL/ELD curriculum map so here it is! This year-long ESL/ELD curriculum map, broken down by week, will help you plan your year for all 3 language levels. Each month, under each language level there are language components that I teach during that month. You more than likely have your own resources, activities and curriculum to teach these components. ?If I have a product that contains all or parts of the language I teach during that month I have listed it. All resource images are click-able links for your convenience. Just click on the image you want to see and it will take you to my TPT store.? Each month has a combination of ELD units and/or grammar components essential for English learners. Again choose some or all of what I have here. Feel free to mix it up to suit you! Click Here to download from TPT! Every classroom is different! Every teacher teaches differently, and I tried to create this year curriculum map with many different types of classrooms and teachers in mind. I know you may need to tweak this to the needs of your students, classroom, and administration. That?s OK! For example, March is testing month for me. If you need to switch months around to meet your testing time, that is just fine. Do what is best for your students in your classroom. There is even a column for holidays, which you can use or not use, your choice. How awesome is that people? I mean the whole year is planned out for you. A few years ago I was teaching past tense verbs to a group of my students. I started to roll out the songs and old charts and realized I needed to make some new ones. I like beginning my past tense unit with "The House That Jack Built". I thought I would post a variety of charts from the past. They aren't the prettiest charts in the world, but they are effective. I love this song I wrote! The brown paper showed the marker well. The orange paper reflected light. The white made the marker show easily. There they are....now I am off to make some new ones!
? ?St Patrick?s Day is right around the corner! I love using this holiday to teach about idioms! Idioms are words that don?t mean what they say! They are usually a group of words, well known and used by native speakers of a language, that can?t be understood by the individual meaning of the words. Click here to go to my TPT store for this fun St Patrick's activity! Students develop a clear understanding of idioms with direct instruction, read-alouds, teacher modeling and student-centered activities. According to readwritethinkteaching idioms offers students the ability to further comprehend texts that contain metaphorical and lexical meanings beyond the basic word level. � When presenting idioms to students, introduce a group of 4 to 5 idioms together. It is best to group the idioms into a category, for example; before St. Patrick?s Day teach idioms that use green in them! � Always use stories or relate personal conversations to introduce each idiom in context. � Use an Idiom Journal to record the idiom and it?s meanings. Don?t forget a picture. � Practice by offering students a student centered activity. Now you are on your way to teaching idioms! I like these idioms for green! Here are some fun sites for idioms! What are some of your favorite idiom activities! I would love to hear about them. Love the lessons you teach! Click Here to go to our store! From the very first day find a buddy or buddies for your ELL student. Buddies can orient the student to the school, play at recess, or work together with the ELL on class assignments and projects. Student to student interaction builds a sense of belonging and community. Google translate, books on tape, and the wide variety of free phonics programs make learning fun! Bring out your best charade moves! Model and demonstrate what you want the student to do. Repeat the directions slowly or have a buddy repeat classroom directions. Be redundant in the way you present information. Gestures, actions, pictures, objects and writing are all great communication tools to use. Choose and few and use them regularly. Check for understanding frequently. Create a variety of simple clear instructions, routines, procedures and expectations. Using these consistent cues will offer predictably and comprehension for students learning English. Speak to the student directly throughout the day. Don?t worry if the student does not respond verbally, listening is learning for the ELL student. Remember that learning is taking place even if the ELL does not speak for the first weeks or months. Provide opportunities throughout the day for teacher to student interaction. Don?t let your English learner be a wallflower! Bring ELLs into your classroom community with lots of direct teacher talk and eye contact! When the student does not understand, say less and simplify your speech. Click on the cover to try our Newcomer Packs for free! Create and use visual demonstrations during your lessons. Drawings, charts, maps, graphic organizers and pictures. Hang them up to increase comprehension of the lessons you teach. Use manipulatives. Students learn without language when teachers offer learning through hands-on activities. Highlighting vocabulary, important words or summarizing sentences are great ways of modifying assignments for ELLs. English learners can understand difficult passages by identifying simpler language within the text that clarifies the meaning. ELLs can communicate by labeling, drawing, copying, and underlining. English learners can create outlines, make charts, diagrams and pictures to demonstrate their understanding and knowledge. Speak up when you don?t know! Teach your ELLs what to do when they don?t know. Instruct ELLs how to ask a buddy, raise a hand or call the teacher when they don?t understand what to do. Modeling works great to make sure ELLs know how to ask for clarification. Communicate with ELD teachers for advice and assistance in creating a learning environment for your ELLs. Classroom teachers with experience teaching English learners can be a wealth of knowledge. Tap into their counsel. I just put this lesson plan together for a fellowship I am applying for and thought I would share it with you! It follows my Reflexive Pronoun Unit that I give as a sub plan for all of you who have taken one of the Fun To Teach workshops. This alternate form can be used by anyone using their own picture cards. Hope it is something you can use in the new year! At the conclusion of this lesson, students will be able to differentiate between the reflexive pronouns. Students will communicate effectively 80% of the time when using reflexive pronouns to describe what people are doing in pictures. Introduction: Teacher: Briefly introduce reflexive pronouns and describe their meaning. Teacher writes the subject pronoun and the corresponding reflexive pronoun on the board. Students discuss the meaning of the reflexive pronoun. Teacher checks for student understanding.
? Teacher introduces the chant while the students listen for the reflexive pronouns.
? Call Back: Students repeat lines after teacher. ?Students raise their hand every time they hear a reflexive pronoun.?
? Teacher passes out the reflexive pronoun word cards one per student. Teacher recites the chant. Students hold up their reflexive pronoun card when they hear their word. The Activity: Teacher introduces the following prompt and reply. Prompt: Who do/does _____ see in the mirror? Reply: _____ see/sees _____in the mirror. Teacher holds up one reflexive pronoun card at a time. Students practice by looking at the card and speaking the prompt and reply. Students ?Call Back? repeating after teacher until they successfully repeat the structure. Students continue the practice by having a girl pretend to look in the mirror, a boy look in the mirror, and two students look in the mirror, etc. The Game: Teacher divides class into 2 lines and names the first person of each line as the team leader.
? The next student in line plays against the remaining student?
? The team that has the leader back to the front of the line wins! Wrap up: Refer to the objective. Parting Passport: ?Teacher asks the students to say their favorite line of the day using a reflexive pronoun. The overarching theme of the lesson is the introduction and practice of reflexive pronouns in oral conversation for English language learners at the intermediate/early advanced level of English. Write the reflexive pronoun chart on board or display with overhead or document camera (see chart below). Copy and cut the cards. Print copies of the chant. Students are given a variety of pictures requiring the use of reflexive pronouns. Students orally describe what is happening to the people in each picture. Teacher records the proper and improper oral use of reflexive pronouns. Click here if you would like to see the Reflexive Pronoun Unit at my store on Teachers Pay Teachers! $100 GIVEAWAY of TpT Gift Certificates! Complete the Rafflecopter Contest Application at the bottom of this post to enter to win the FIRST $100 GIVEAWAY of a TpT Gift Certificate. Click on the link, A RAFFLECOPTER GIVEAWAY, located under "BETTER ODDS THAN VEGAS!!! " to earn the raffle ticket entries. (You may have to wait a minute for it to appear on your computer.) The FIRST $100 GIVEAWAY of a TpT Gift Certificate will end at 12:00 A.M. Pacific Time on March 21, 2019. The TBOTEMC annual membership may be purchased at http://www.thebestofteacherentrepreneursmarketingcooperative.com/2014/01/the-best-of-teacher-entrepreneurs.html. TpT sellers may join The Best of Teacher Entrepreneurs Marketing Cooperative at http://www.thebestofteacherentrepreneursmarketingcooperative.com/2014/01/the-best-of-teacher-entrepreneurs.html. Please include my name and TpT Store - Fun To Teach - in the referral section of the TBOTEMC Registration Form. Just wanted everyone to know that I am having a sale at my Teachers Pay Teachers store! Here is what you need to know! I am having a SALE on TPT!